The U.S. Department of State website has always had reliable information, but now it’s even better. 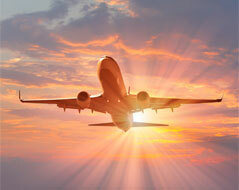 Over the years, many have looked to its online pages for information regarding their international travel destination. Recently the State Department underwent a major renovation in its Travel Advisory section making travel alerts and warnings straight forward and easy to understand. Whether you are thinking about traveling internationally or have already booked a trip, the State Department wants to provide the opportunity for you to make informed travel decisions and help you sufficiently prepare for your upcoming vacation. Countries are updated on a daily basis. By utilizing their website and the information therein, you will come to find what countries are the safest for travel, those where you need to use caution, what countries should be reconsidered, and which should be avoided altogether. Advisories are presented in a list alphabetized by country as well as in an interactive global map. Both are color-coded to make the information easy to identify. The State Department has issued a number to each country, though some cities or sections of each country are also labeled. You can search for advisory information on a specific country where you will likely see a brief explanation of the reasons why it was given a specific category. Reasons may include anything from environmental hazards to terrorism and civil unrest. Each country will also list information on what steps you should take after deciding where to travel. Some countries are so massive that with the new four-tier system, travelers can now make more educated decisions regarding their travel plans. Preparing to travel internationally just got easier.